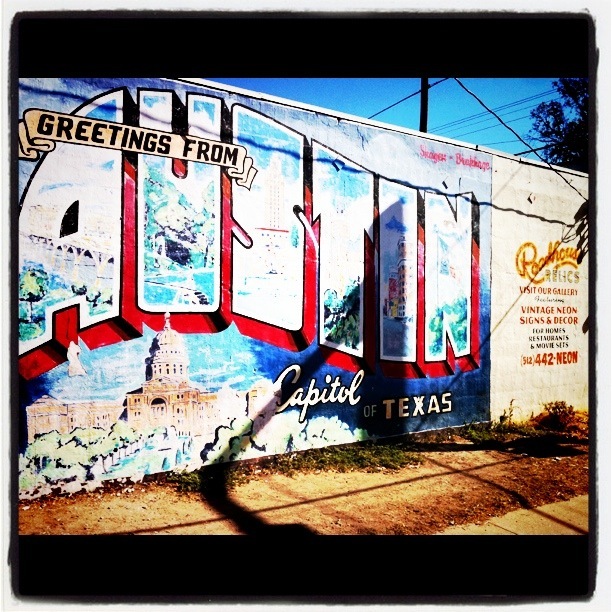 Greetings from Austin! I seriously adore the postcard greeting on the side of this South First building, home to Roadhouse Relics, where you can pick up a custom designed and built neon sign. And, really, now… is there anything better than a really cool neon sign?